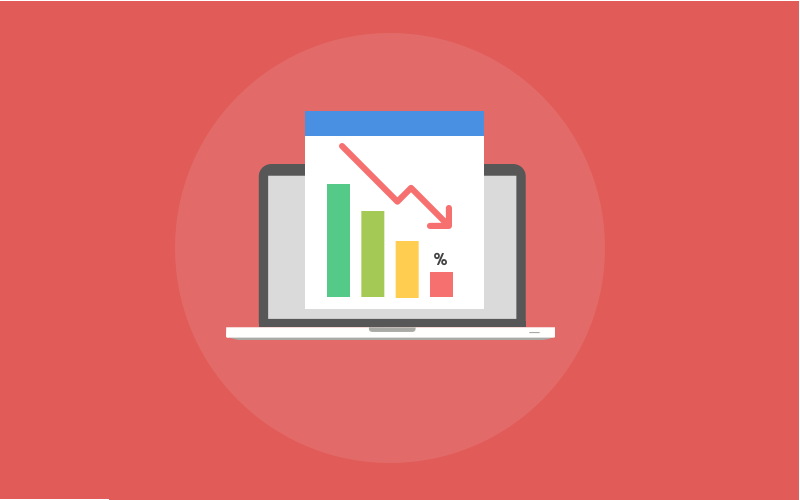 Project failure is every project manager’s worst nightmare. Whether the project is small or large, there is always a possibility of project risks that crop up leading to project failure. Let’s take the example of the Type 1 jeans introduced by Levi’s in the early 2000s. Levi Strauss introduced Type 1 Jeans that were designed with a lot exaggerated features, including rivets, stitches, and buttons, but the style never really caught on. As a result, Levi’s was forced to shelf the product altogether. But what exactly went wrong? The initial messaging given out by Levi’s and the end-product was not what the customers expected. So, this project failed because of improper project communication. It is, however, important to understand that there can be multiple reasons for project failure. Even if you plan, initiate, execute, and manage your projects efficiently, there is still a chance for an unanticipated risk to bring it all to the ground. So, how do you deal with the uncertainty? How do you avoid project failure? By getting a hang of common reasons that can lead to project failure. And, that’s exactly what we are here to talk about. One of the biggest reasons for project failure is a lack of communication between team members and managers. This discrepancy of knowledge and understanding makes it really difficult for not only team members and managers to be on the same page, but also slows down the project execution by manifold. For example, a team member might come up with bloated project schedules with no baseline or clarity at all. As a result, the schedule goes through multiple changes as per requirements, delaying the project by a few years and a cost overrun of about $10 million. Woah! Use a project management software. For example, ProProfs Project aims to bring transparency among the three tiers of project management (executives, team members, and managers) and the client. Nothing cripples a project more than loopholes in communicating with each other. Along with improper communication, conflict resolution is one of the top reasons why projects fail. Most project managers still use emails to communicate with their team members and if any member feels that there is any ambiguity in the mail or tone, it can lead to a conflict. If someone is unable to understand the email; it’s a recipe for project failure. Address the issue instantly and ensure the topic is dealt with completely. This not only ensures a positive work environment, but also prevents the same issue to crop up again in the future. Imagine that you are working on a project wherein you need to create a responsive website for a client. Now, the client has a specific idea in mind which is unique and a little difficult to implement. They lay out the idea in front of you and ask whether or not this can be achieved. But, you have no clue where to start. Would the client even consider working with you? No! It is hard to believe that even project managers can lack experience, but it’s true! Project managers are responsible and accountable for project success and if they lack any skill or aren’t able to handle project risks efficiently, the project is bound to fail. Hire a project manager with experience. This not only helps in dealing with different project risks, but also makes sure the managers are aware of their roles and responsibilities is essential to avoid project failure. Any project manager can have a problem in allocating resources in a project, but if they can not handle the repercussions completely, the project will fail. Instead of saying we got this. It is essential to plan beforehand and make sure resource allocation is performed without any glitches. Most project managers are now using simple project management software such as ProProfs Project to keep track of project budget, time spent on a project, and how often are tasks completed in the set deadline. Keeping track of everything ensures that your project succeeds. Implementing a project within a set deadline definitely is like a ticking time bomb, and if the time exceeds, projects fail. Many project managers estimate project execution time solely considering past experiences, but that isn’t the right way. Every project is unique and, during their execution, there is always a possibility that project managers will face a different set of challenges. More often than not, getting timelines wrong can lead to a flawed schedule and increased risk; something that can be avoided with careful planning. Plan your projects properly. Always have all your team members in the loop and make sure everyone is on the same page, meeting all set deadlines perfectly. Among all the reasons why projects fail, one that crops up every time is setting unrealistic expectations. When starting on a project, it is not only important to understand what needs to be done, but it is also important to understand how to do it efficiently, within the set deadline. Most of the times, team members start procrastinating or feel burned out. Set goals before the project is in full swing. It is important for project managers to have one on one meetings with individual team members and help them understand their role in the project. As a result, all the members would have a roadmap to follow that prevents them from derailing the project. Focusing all your time, energy, and efforts on your team and project and overlooking your stakeholders is another common reason for project failure. Who qualifies to be a stakeholder? A stakeholder is anyone who has invested in the project you are executing. Identify all the stakeholders and keep them in the loop by giving constant updates related to work progress. Most times, project managers tend to sugarcoat such information; leading to a boost in client expectations. Though this helps in enhancing client trust and get more business, it can have a negative impact on your team members. It’s best to choose a PM tool to not only maintain transparency among your team members but your clients too. Avoid Common Reasons for Project Failure in Project Management! 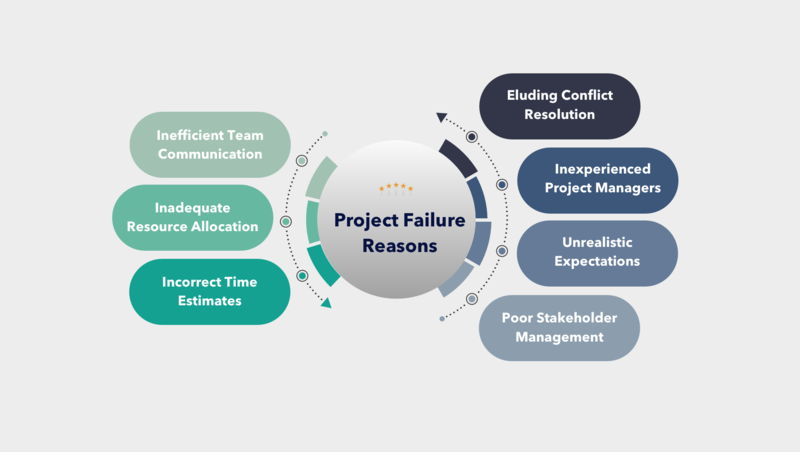 So, when executing a project, keep in mind the seven common reasons why projects fail as mentioned in this blog post and try to eliminate all these mistakes from your project management lifecycle. The ideal way out is by choosing a simple project management software that helps to manage multiple projects, teams, and tasks on a single dashboard. 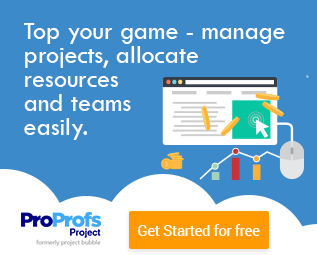 One such software you can try out is ProProfs Project. 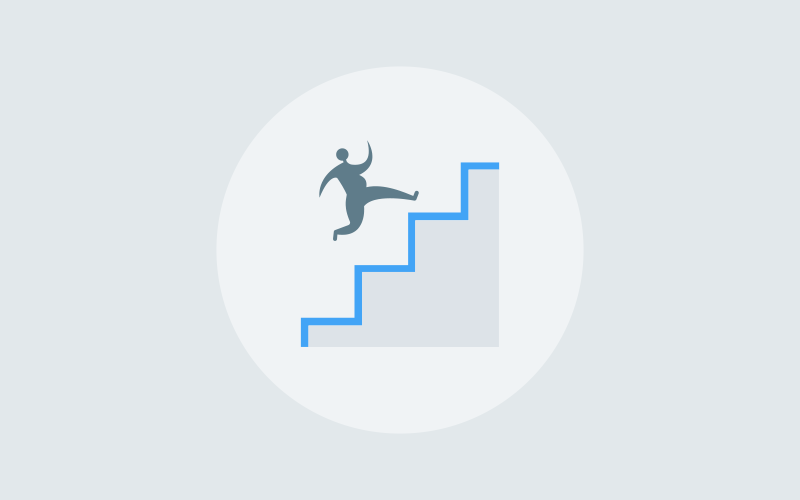 From defining project goals to generating insightful reports, you can do it all hassle-free! David is a technical writer, his works are regularly published in various papers and top-notch portals including ProProfs.com. His readers revel in thought-provoking write ups which are backed by his innovative findings and researches. His rich experience in Project management domain help him offer latest and fresh perspective on improved efficiency in work flows across organizations. Do You Prioritise Your Workload, or Someone Else?